When arriving at work someone had occupied my parking space. I collected some evidence (removing and putting on my glasses several times), stole someone else’s space and went in to the office. I sent an e-mail to everyone asking who it was and got several replies how to see who owned the car. After querying the DMV via SMS and asking around I got to the perpetrator and informed her of her transgression saying “This will cost you a cake”. 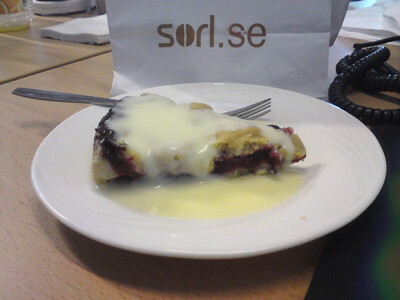 Sure enough, after lunch cake was not a lie. Who can resist cake?